Wicks and dries. With UPF 30 sun protection, wicking, and quick-drying fabric, the Columbia Badge N' Flag shirt is the perfect partner for all of his warm-weather adventures. Wicks and dries. 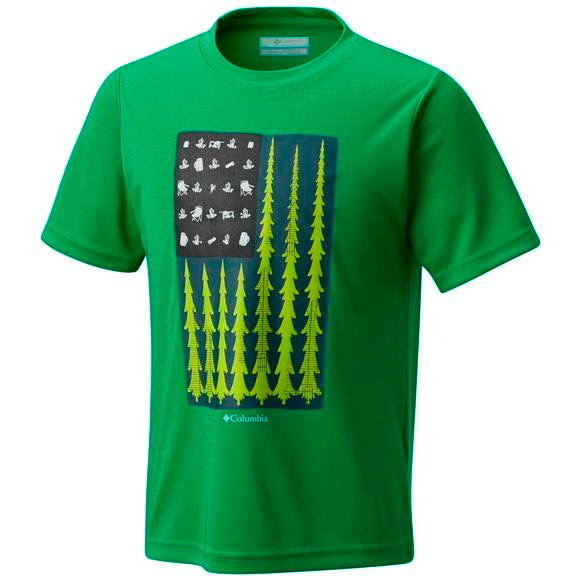 With UPF 30 sun protection, wicking, and quick-drying fabric, the Columbia Badge N&apos; Flag shirt is the perfect partner for all of his warm-weather adventures.